When Apple launched its new Mac Pro, everyone thought it was the weirdest design ever by a major company, but now with the Area-51, that is no longer the case. With the Area-51, Alienware pulled all the stops in design and hardware. The new desktop PC brings a new hexagonal design with slanted sides so you can push the machine to the wall without blocking ventilation. The Area-51 will launch with 6 and 8 core Haswell-E processors and can handle upto three double wide graphics cards. When the Moto 360 was unveiled, it was clear that its four cornered kin were clearly outclasses in terms of sheer design. Fast forward to the present day and it seems that LG has realised that the circular form factor is the more aesthetically appealing one. LG on Thursday showed off the G Watch R, an Android Wear powered smartwatch that comes in a stainless steel frame with interchangeable standard straps. The G Watch R packs a 1.2GHz Snapdragon 400 processor backed up by 512 MB RAM behind a 1.3 inch circular Plastic – OLED display. Ever since the Gear Live was released, rumours about a Samsung wearable with a SIM card slot began popping up everywhere. Just this past Thursday, Samsung unveiled the Gear S, the company’s 6th smartwatch. The Gear S runs on Tizen instead of Google’s Android Wear and features a large curved display with a thinned down home button at the bottom. The device is also rated IP67 for dust and water resistance so it could easily be taken outside to face the elements. Samsung also unveiled the Gear Circle, a pair of sports centered wireless Bluetooth earphones. The main highlights of the wearable are the magnetic clasps on each earbud that allows the user to wear the earphones around the neck when not in use and a vibration feature to alert the user about incoming calls and notifications. Drones are very cool. Up until a few years ago, drones were only seen in the military, but now that is all about to change as Google dives in behind Amazon into the drones race. Project Wing is a product coming out of the minds of the crazy folks over at Google X and it varies quite a bit from Amazon’s delivery system. For starters, the drone is shaped sort of like a B52 stealth bomber and hovers in a vertical fashion unlike the more traditional quadcopter design of the Amazon drones. Where the drones differs most is delivery approach, Amazon’s drones have to land in order to deliver a parcel whereas Google’s drone hovers in the air and sends down the package via a wire. Check out the video below to get the full picture. Instagram last week released Hyperlapse, an application that makes beautiful timelapses in an incredibly easy manner. The application relies on information pulled from the gyroscope combined with image stabilization software to create smooth timelapses which would have otherwise required professional camera equipment. The application has Snapchat-esque functionality and is currently only available on iOS with an Android release coming soon. Twitch is a company that allows gamers to livestream their game sessions to the internet for the world to see and Amazon is buying it for a lot of cash. 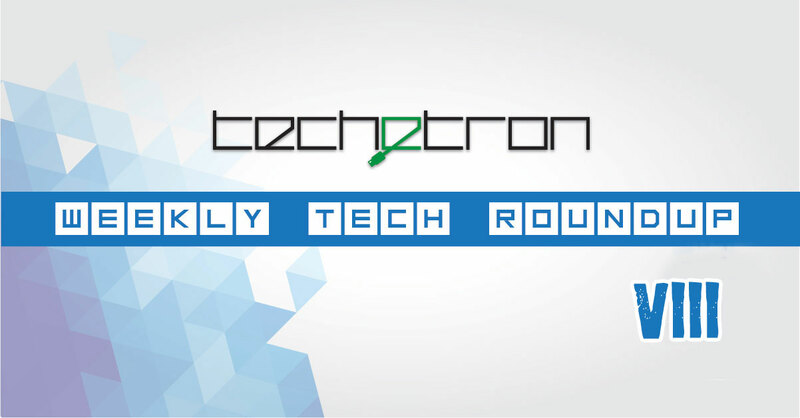 The company was initially in talks with Google and most rumours had pointed to the deal being sealed however things ultimately were not falling into place so Amazon cut in and grabbed the offer. Although it has not been confirmed, a report by Forbes claims antitrust issues were the reason behind Google not acquiring Twitch. Big brands are always present at sporting events and the US Open was no different. Ralph Lauren last week unveiled a smart Polo shirt that would be worn and tested by select ball boys at the prestigious tournament. The shirt comes packed with sensors to monitor vitals including stress level and heart rate. There is also what the company calls a “black box” with an embedded gyroscope, accelerometer and Bluetooth chip to send information directly to a smartphone. Ralph Lauren has also designed an app to view the information on a smartphone. We have been hearing a lot of sapphire displays and how rumours of how Apple’s iPhone 6 might come out with a sapphire display. 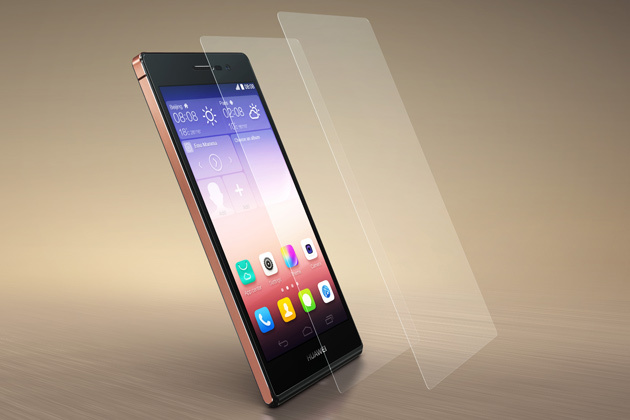 With the launch of Huawei’s new Ascend P7, the iPhone won’t the the only phone on the block because the P7 is getting the sapphire treatment. The Chinese manufacturer is said to be releasing a sapphire iteration of the P7 in limited quantities with the first batch due this September. Alavi Zaman also contributed to this post.